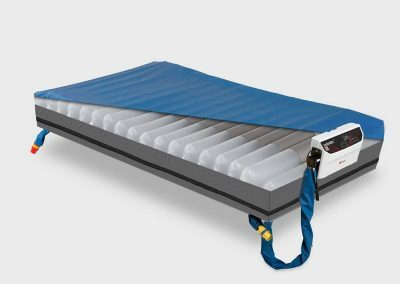 The AUTODEC® therapeutic support mattress replacement provides effective alternating pressure relief combined with unique Easy Turn Technology, moisture management and other improved solutions for a wide patient management issues. Dual compressor pump provides better performance – quiet and efficient. 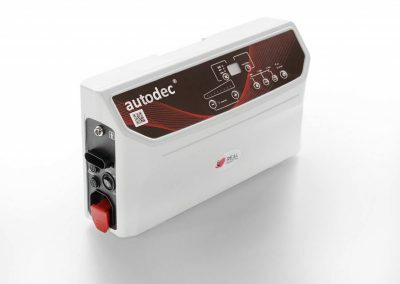 AUTODEC® is recommended for round-the-clock pressure ulcer prevention and management of all pressure ulcer stages. ALTERNATING – periodically redistributes pressure away by inflating and deflating every 2nd cell beneath the patient’s body in chosen time period (10, 15, 20 or 30 minutes). Static head section ensure additional comfort and stability. STATIC – cell pressure is held constant across the surface and body mass is redistributed over a greater surface. It defaults automatically to alternating mode after 30 minutes. CLP (CONSTANT LOW PRESSURE) – provides “immersion therapy”; the pressure in cells is constant and lower than in standard static mode. 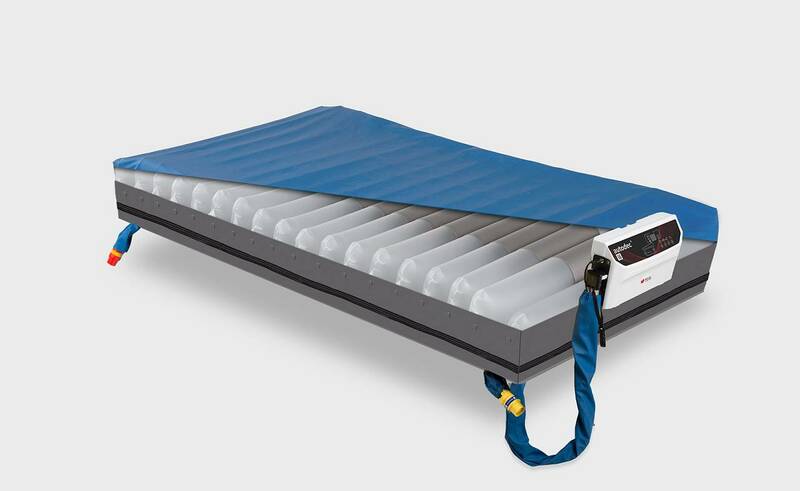 AUTO-FIRM – Provides a temporary stable support surface to assist nursing procedures , patient transfer etc. It defaults automatically to alternating mode after 20 minutes. Autodec® is suitable for patients weighing up to 255kg. Innovative function of lateral tilt and patient rotation operating in both alternating and static modes. 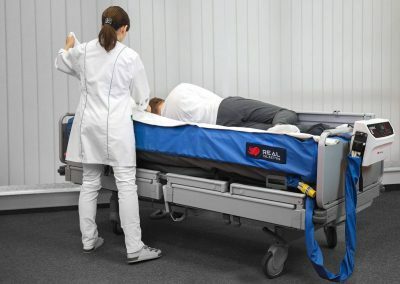 This valuable feature not only improves the prevention and treatment of pressure ulcers, but also helps the caregivers in their day-to-day duties. The facility can be use in accordance to the needs of users (turned on/off). 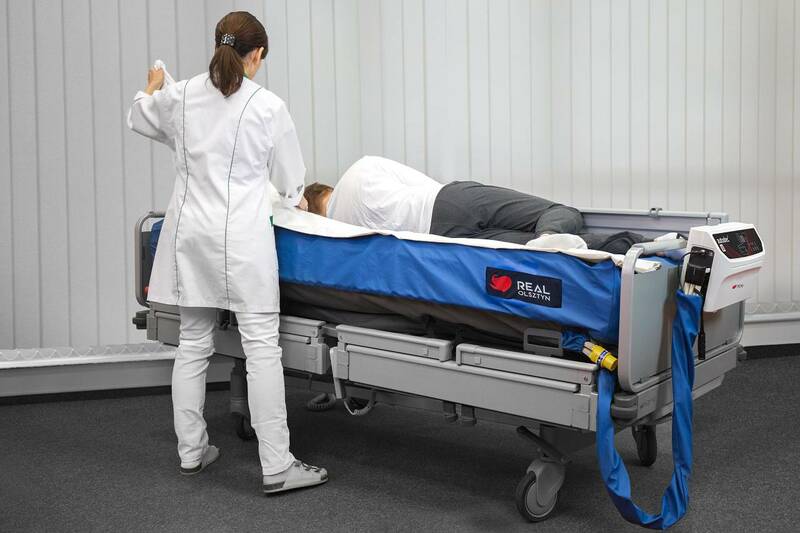 Reduces the risk of physical injury on nurses when handling a patient.